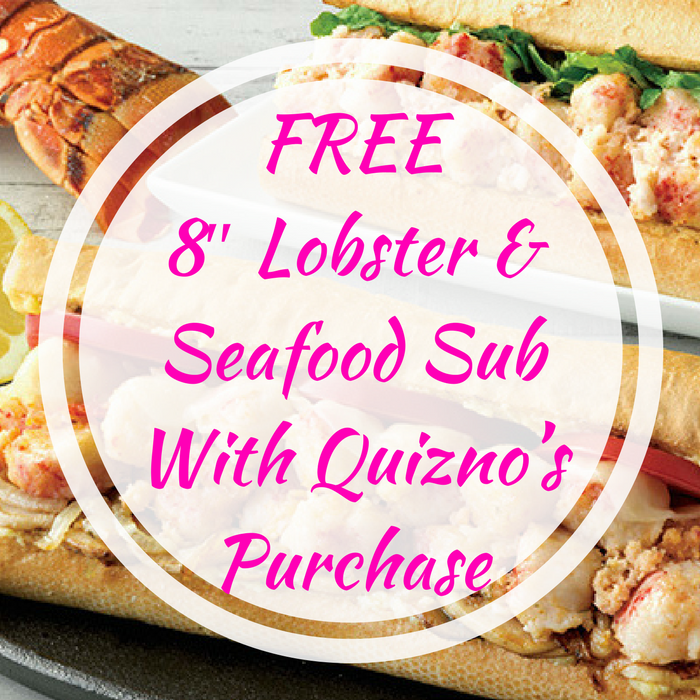 FREE 8″ Lobster & Seafood Sub With Quizno’s Purchase! You are here: Home / FREEbies / FREE 8″ Lobster & Seafood Sub With Quizno’s Purchase! Until February 28 only! First thing to do, download the FREE Quizno’s Toasty Points App available on Google Play or App Store! Then, score a FREE 8″ Lobster & Seafood Sub with any purchase! You can choose from classic or scampi bake varieties. Yum!